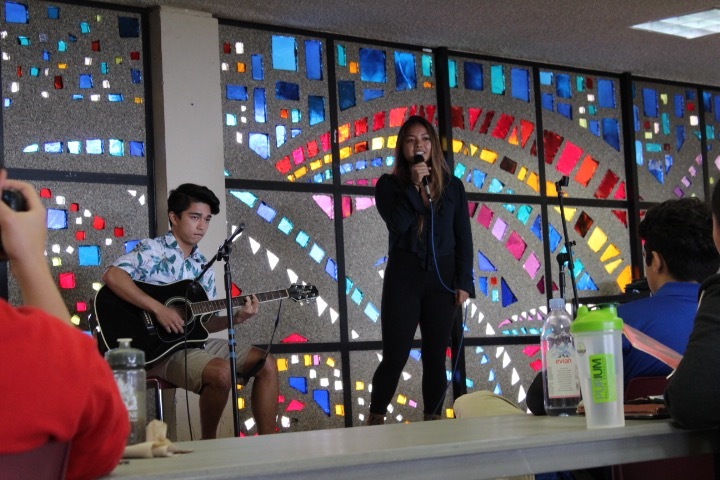 On Monday, October 10, in the Ohia Cafeteria, the Board of Student Activities (BOSA) pulled out the piano that is usually tucked away in the corner of the cafeteria and set it up close to the stage along with a few mics and a row of tables used for judging, making way for the seven-act talent show. The seven acts there shared some similarities in talents. Most of the contestants played the piano, some did guitar, and one duo sang and played the guitar. 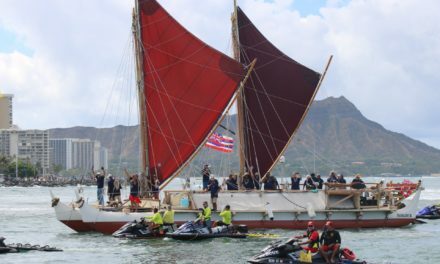 One of the contestants, freshman Crystal Tahata, played “Rose” from the original soundtrack of “Titanic.” She heard about the talent show from her Music 121 Introductory Piano class and was encouraged by her teacher to enter the talent show. 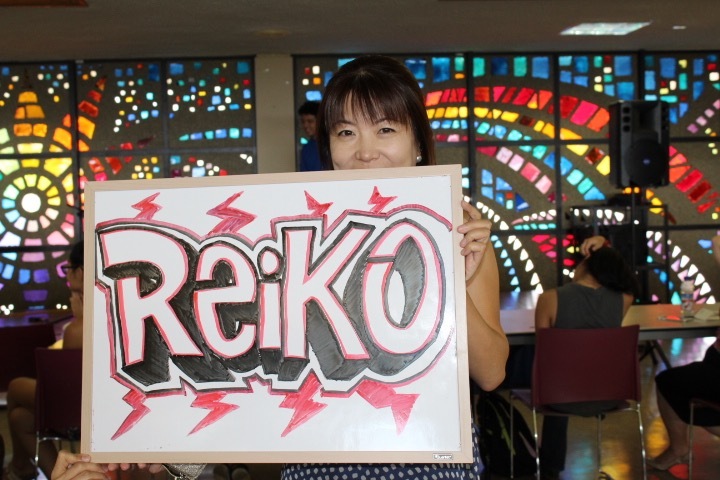 Reiko Harata didn’t quite share the same nervousness that her other contestants felt due to her extensive years of experience behind the piano. The Liberal Arts major from Japan flawlessly performed the classically complex “Fantasy Impromptu” by Chopin. Harata had the support of her friends and family during her performance to cheer her on. Her boyfriend made an appearance along with her friend, who had previously made a poster of her name. Contestants were given a 2-minute limit for their performances, but they wowed nonetheless. The acts were mostly comprised of students. Even the intermission was filled by a student, Jeff Kim, who jumped onto the piano and entertained the crowd for a few minutes. Wooyop Kim finished second with a “Breakfast at Tiffany’s” classic “Moon River” on the piano. She won a $200 gift card for his performance. Krystal Mokuahi and Cody Shidaki, the lone duet of the show, did Kapena’s “Blue Darling.” Their performance earned them a $100 gift card. A panel of judges of BOSA members, faculty and staff determined the winners. The other performers were Michael Zanderigo, Crystal Tahata, Janny Wu and Juben Garces. Zanderigo played Cat Stevens’ “Wild World” on his guitar. Wu did a rendition of “Bay Breeze” by modern artist Randall Hartsell on the piano. While Garces played “Violet Evergarden” on the piano as well. The talent show was produced by the Board of Student Activities. BOSA said it has no plans for a talent show in the spring but will likely host another one next fall. To read all of Kayla’s stories, click here. 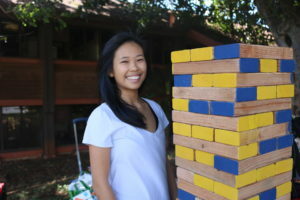 Kayla can be reached at kvalera@hawaii.edu. Kayla Valera is a first-year college student with the intention of majoring in Life Science. Her interests include reading, music, and watching odd documentaries. In the future Kayla hopes to narrow down a career that’s cohesive to her many interests. Kayla can be reached at kvalera@hawaii.edu. Augustine Luc is in her third year at KCC in the Respiratory Therapy program with plans to finish next summer. Luc has been with Phi Theta Kappa (PTK) Honor Society at KCC for two years. She originally got involved with PTK Honor Society because her best friend was President of the society and she really liked the other members who were involved. She was out on RIO Day at KCC representing PTK Honor Society building a giant Jenga game they had made for students to play. During that time members were fundraising for the victims of recent hurricanes and wildfires. "Right now we're fundraising for the natural disasters that happened like the fires in California and the hurricane. Every semester we have projects, we have an Honors in Action project and a college project. So we do projects that help our college and then we do another one that helps the community." Luc says she enjoys being a part of PTK Honor Society because she believes that it is a great representation of not only KCC but also the University of Hawaiʻi as a whole. 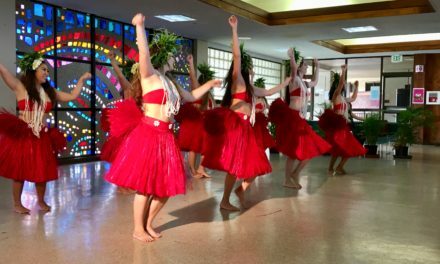 Kapi‘o News is a publication of the Board of Student Publication (BoSP) at Kapi‘olani Community College. 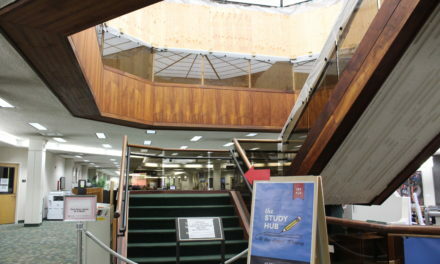 The published works reflect the opinions and views of the students, not those of Kapi‘olani Community College or its administration, faculty and staff. 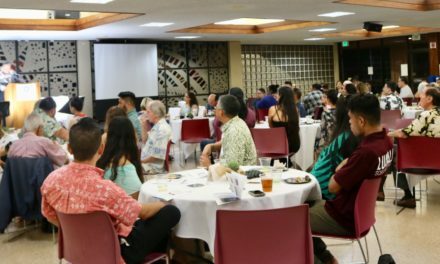 To contact Kapi‘o News with comments, advertising inquiries, contributions, or story ideas, please email us at kapio@hawaii.edu.